This will ease traffic chaos on the market roads and cut supplies to unlicensed operators at the market. 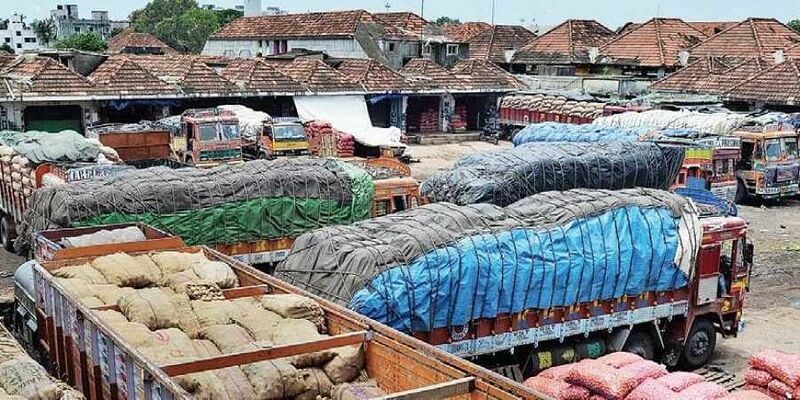 CHENNAI: In a bid to ease congestion at the Koyambedu wholesale market, the market management committee (MMC) has introduced token system wherein only two trucks per shop are allowed inside the market at a time. The Koyambedu market has been witnessing traffic blocks regularly in the morning hours with market roads being inaccessible for vehicles trying to access the Poonamallee Road. As a result, school buses, vehicles carrying vegetables and four-wheelers have to use narrow roads in the neighbourhood resulting in chaos in the residential areas. The trucks with supplies often block the roads along with tricycles making it inaccessible for long-distance buses to enter the omnibus terminus as well as the parking yard. President of Koyambedu Vegetable Wholesale Merchants Association S Chandran told Express that the token system would restrict traffic congestion. The market management committee would be providing two passes per licensed shop to enable two vehicles at a time to unload their ware in the market. The move is also to restrict the trucks which enter the market and supply vegetables and fruits to unauthorised vendors who sell on the pavements illegally. This comes as the CMDA has hired a consultant for preparing Koyambedu (Chennai Mofussil Bus Terminus and KWMC) Local Area Traffic and Transportation System Management Strategies and Implementation Plan for CMDA. The consultant will also look at alternatives to decongest the market road which has been hit by traffic snarls after the proposed 80-feet wide road connecting Poonamallee High Road (NH 4) and Koyambedu Wholesale Market Complex ‘A’ Road was dropped due to encroachment and the huge cost of land acquisition. Meanwhile, the MMC is taking action against those selling other wares or provisions other than vegetables or fruits.